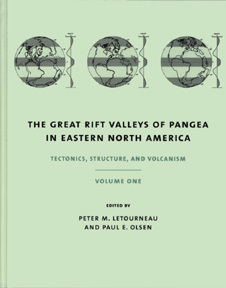 Volume 1: Tectonics, Structure, and Volcanism, 214 p.
Click here to see table of contents or purchase from CU Press. 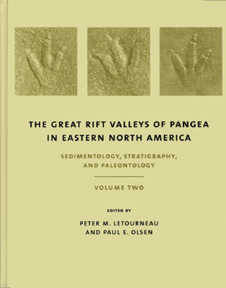 Volume 2: Sedimentology, Stratigraphy, and Paleontology, 384 p.
VIRTUAL ICHNOLOGICAL LIBRARY Facsimiles of major works by Edward Hitchcock & R.S. Lull, and Newark Supergroup footprint bibliography.